TeddyCanBlog - An integrative resource for the baby boomer community. Our #blog features health and medical news, travel tips, shopping, and much more! With nearly 3 million Americans with glaucoma, it’s surprising that the importance of preventional eye care remains understated. Glaucoma is an eye condition that can lead to blindness if not caught early. As this disease develops remarkably slowly, many people don’t know they have it until the damage has been done. In fact, glaucoma remains the leading cause of blindness in elderly persons. Principle-Centered Leadership by Stephen R. Covey is a must-read for anyone wishing to maximize the effectiveness and morale of their work. More than just time management, this guide reveals just how to utilize certain principles and methods proven to be successful. It takes a lot more than meets the eye to be a good model in the business industry. By setting an example of integrity and innovation, others are inspired to do the same. This instructive book is a great resource on how to establish and carry out a solid moral system as well as improve productivity in the workplace. The following is a guest post by Max Gottlieb from Senior Planning. If you’ve ever had a relative who has fallen, then you know just how important it is to avoid falls at any cost. A fall oftentimes means the beginning of someone’s journey into death. Both of my grandparents, who were otherwise healthy, fell and within three months passed away. My grandfather, recovering from a hospital stay, rolled off of his bed and all the progress of his recovery quickly vanished. Unfortunately, with a fall like this, there is not much you can do to prevent it unless the older person wants to put rails on their bed, similar to a top bunk on a bunk bed. For most people, this is unrealistic. My grandma’s fall, however, could have been prevented. Without being loyal to our own needs, it is very difficult to truly help others. From a young age, we are taught to extend ourselves to others, to share, and make the world a happier place. It is undeniable how very important this is. Given the state of the world, acts of kindness and generosity cannot be understated. However, it is possible for us to keep our own needs in mind without sacrificing this. In fact, being selfish might just help the world be a better place. We live in a time where we have access to an infinite number of medical solutions for our illnesses, symptoms, and pains. There is very little time in the day that we’re not somehow connected to a device. With Father’s Day around the corner, we’re thinking of all the reasons we appreciate our dads. Amidst all of the outward celebration for all the mothers of the world, it’s easy to understate the love and admiration we have for our dads. The truth is, our dads play just a significant role as our mothers do, albeit a sometimes quieter one. The ingredient for true happiness is shockingly simple. Being the complex humans we are, we like to overcomplicate it. We tell ourselves that we need X, Y, or Z before allowing ourselves to be truly happy. We procrastinate happiness. We tell ourselves we will be happy once we get married. We tell ourselves we will be happy once we finally lose that weight, or once we finally buy that house. This inner dialogue seems like it could be motivating, but it toys with a dangerous idea: that happiness is only achieved once certain conditions are met. And this could not be farther from the truth. The summer serves as a wonderful and sunny time for relaxation. However, too much r&r can leave one antsy, bored, and anxious. For those of you who are entering or in the middle of retirement, summer is a great time to switch things up and try something new while the weather is beautiful and the days are long. I must admit that most action movies, even ones with A-list actors and excitingly novel special effects, lose my interest rather quickly. For a movie to hold my attention, it has to dig under the surface of what the story initially shows. This doesn’t mean that it has to be particularly complicated or require extremely close attention to detail- but rather artistically showcase a bigger “meaning” than the one presented. For me to consider a movie good, I gotta work for it. The following are a list of films that I found charmingly mysterious, captivating, and thought-provoking. It’s becoming more and more common for younger generations to get up and move for work, school, and volunteering. Between busy schedules and different time zones, it can be difficult to keep in touch with family that is always on the move. Fortunately, we live in a time that technology makes it easier than ever to stay in contact! Although nothing beats face to face communication, there are plenty of fun and easy apps and resources for keeping family close even when they are physically thousands of miles away. The prevalence of female leaders in our society is slowly but steadily improving. The road to female empowerment has been a long one, but in the past decade alone, we have reached some significant milestones. The gender pay gap has had a notable increase in attention, the 2016 US Presidental election has a strong female candidate, and there has been a number of female public figures and celebrities standing up for the importance of feminism. There is no denying that the issues of gender equality still have a lot of work left, but we are inching closer and closer to resolving them. Crohn’s disease is a chronic inflammatory disease of the gastrointestinal tract. For those with this condition, their immune systems end up attacking the good bacteria in their intestines . This often results in ulcers and painful inflammation. The symptoms of Crohn’s can be quite uncomfortable, the most common ones being painful cramping, fatigue, diarrhea, and weight loss. The pain can range from mild to severe, and if left untreated can have serious health consequences. Growing older feels a little bit like running a marathon. Only upon crossing the finish line, everyone is kinda half asleep and half-heartedly discussing an NPR article you know was published at least over a month ago. When you’re younger, it seems as if everyone is cheering you on for even the smallest things- as if getting an oil change for your car (that you definitely don’t pay the insurance for) is the mark of a Responsible and Promising Young Adult. However, there are some fabulous perks to being on the other side of the hill, so to speak. At a first glance, knowledge and wisdom seem like seemingly identical notions and are often used interchangeably. Knowledge is defined as the theoretical or practical understanding of a subject. Wisdom is defined as the quality of having experience, knowledge, and good judgment. Using these definitions alone, it appears that one can have knowledge without wisdom- but not wisdom without knowledge. So, what does all of this mean? It’s no secret that french women are universally revered for their ability to flawlessly showcase their natural beauty. Although it might seem like genetic luck, it really has more to do with their culture’s organic and gentle approach to beauty and skincare. French women radiate confidence, simplicity, and grace- something that is cultivated through their self-loving beauty regime. Menopause is perhaps one of the most delicately discussed phenomena in women’s health. It is very common for women to have feelings of apprehension or shame regarding this life-altering milestone. Menopause is simply the natural evidence of the maturing feminine body, something that has been treated as an unnecessary taboo in our culture. It’s not a secret that growing older holds a lot of social and psychological weight for women. Thankfully, due to the number of emerging female voices and influences, the collective attitude about these deeply personal changes are beginning to become more positive and empowering. In recent years, there has been an exponential increase in professional writers and self-made entrepreneurs on the internet. The most satisfied people don’t necessarily lead better lives than anyone else. Most of us regularly consume soy: whether it be through soy milk, vegetarian products, tofu, or protein shakes. With so many different uses, soy has been a longtime popular meat product replacement for many vegetarians. Soy has also been known for its high protein content and wide array of health benefits such as controlling cholesterol and managing diseases like type 2 diabetes, thyroid cancer, and prostate cancer. With the spectacular sunsets, great entertainment, and fabulous dinning, cruises are one of the best ways to vacation. While the traditional, tropical Caribbean route is always a popular option, there are lots of other interesting alternative cruise routes for those willing to step out of their comfort zones and experience something a bit different. The baby boomer generation has been put in an exceptionally unique position. Most of the baby boomers still have dependent children, and many of them also have the responsibility of being the primary caretaker for their aging parents. This position comes with some very tough decisions, such as: when is it time to consider assisted living? How does one budget new insurance and medical care expenses? How can I be there for my family members in need without completely sacrificing my own goals? Mothers talk about sleep the way someone who is starving talks about food. Fatigue can overshadow your life, making everything seem like too much trouble. There are times that we maintain a balanced, sufficient sleep schedule and still end up exhausted. Our bodies are complex mechanisms that can be quite finicky at times. It’s a frustrating feeling, not being able to get the energy you need despite a full night of rest. In the summer heat, no one wants to turn the oven on to add to the heat waves. Instead, try these refreshing, quick-n’-easy, no-bake recipes that are perfect for those sweaty summer days! Picking out the right wedding gift for that special couple can be challenging at times. Especially if you are looking for a fun, innovative, and creative present. As summer is soon approaching, and wedding season upon us, TeddyCan would like to ease your mind and help guide you to that perfect gift. The idea that the left-side brain and right-side brain work against each other is a commonly believed misconception. Is There Room for Alternative Medicine in Modern Society? I grew up with a grandma who seemed to have a natural remedy for any of my ailments: honey for a sore throat, lavender to relax me, or ginger to calm my stomach. In a society far too used to popping a pill for a quick fix for any ailment, is there room for the traditional, natural remedies our grandparents have always told us about? The following are qualities about common herbs that you may have grown up with and may be interested in using instead of prescriptive medication. The act of traveling has deeply spiritual origins. In many cultures, to travel away from one’s home was a serious journey: one that was taken for the purpose of connecting with God, seeking truth, and gaining wisdom. Even historical, non-religious explorations required a leap of blind faith, and a trust of the unknown. As the April sun starts to warm up the ground and our spirit, it makes me feel like eating food that’s as uplifting as I feel walking in the sun without frostbitten fingers and toes. With the warmer weather making the out of doors more tolerable, thus begins the season of BBQs with family and friends! Here are some unique, spring-themed recipes that are perfect for bringing to a family gathering or cooking at a BBQ. I chose these outside-of-the-box recipes to challenge the norms of BBQ food with produce that is plentiful. light that plugs into an outlet and offers comforting, guiding light to nervous wanderers of the dark. The new nightlight I’m referring to changes your nighttime experience in a different way. Allow me to introduce you to the Night Shift mode on your iPhone. Retirement is a complex and bittersweet milestone. This change is met by many new opportunities and time to develop personal interests. However, when the hustle and bustle of the rest of the world carries on, it’s very common for feelings of loneliness to develop. Even with a supportive network of family and friends, the solitude that accompanies some later in life can be difficult to bare. This problem seems to be so quietly ignored that people who find themselves in this position find it difficult to seek help. If you’re like me, you’re stubborn with your eating habits. I get particularly defensive if someone tries to tell me that something I’ve been eating for years might not actually be that great for me. With our society’s evolving definition of a healthy diet, my commitment to eating delicious food is constantly at war with my commitment to being healthy. Fortunately, for those who don’t want to completely write off comfort food as a weekly dinner, there are ways of discreetly tweaking these classic recipes into healthier versions that are better for you and your family to consume. So, here are some recipes for those of you, like me, who are trying to create meals that simultaneously benefit your health and uphold a certain standard of taste. This recipe still uses potatoes in its mashed potatoes, but the sec ret to this healthy version: use half potatoes and half cauliflower. Have you ever tried substituting cauliflower into a recipe to try and cut back on calories, but felt taste was sacrificed too much to justify the reduction in calories? One would be remiss to try to pretend this white vegetable can pose as a hearty cream sauce or fluffy dough, but that doesn’t mean cauliflower cannot be successfully (and deliciously) used. Personally, I think cauliflower is the chameleon of vegetables and can be cleverly disguised in all kinds of recipes, which is why I suggest this recipe to start your cauliflower endeavors. Research shows that it’s more effective to start change in small doses to build a lasting habit, so take your cauliflower on a coffee date before committing to a weekend vacation with the family. Swapping in whole-wheat noodles and substituting low-fat cottage cheese and lean ground sirloin can quickly turn this dish into a healthier option for the whole family, while still preserving its classic cheesy allure. Eating quality meat is also a good habit to get into when trying to be healthy. How do you know what’s “good” meat? In a FRONTLINE interview, author and food activist Michael Pollan advises, “We always say, “You are what you eat.” But that’s only half the story. We’re also what what we eat eats, too. And cows that eat corn are different meat. So when we’re eating that corn-fed, oil-fed meat, we’re incurring another kind of cost as well.” Bottom line: try to buy meat that eats well so you can too. This lemon-garlic shrimp and vegetable recipe is a mock version of the traditional shrimp scampi favorite. Serve on its own or pair with a grain like quinoa, brown rice, or farro to make this meal more filling. There is nothing small about the benefits of eating shrimp; packed with protein, shrimp also has a low fat content with a not-so-low amount of omega-3 fatty acids. If you get sick of shrimp, consider substituting scallops or a white fish to this recipe to change up your protein game. Check back next week for some seasonal recipes to inform your taste buds that spring has sprung! We spend most of our days in constant contact with other people. Technology has made us available to others at all times, so even our “alone time” is interrupted by communication from friends and family. While maintaining strong bonds with others is important for our physical and emotional health, there is also something to be gained from the ability to sit alone from time to time. How can we create a prosperous market free of generational bias? With the continuous development of new technology and the rapid expansion of online marketing, the business industry has taken on a level of complexity that has not been witnessed previously. Millennials are beginning to master the art of digital advertising, companies are branding themselves through social media, and businesses can directly interact with specific audiences in a way that haven’t been able to before. We all share a strange relationship with memory. Bits and pieces of the past tend to float to the surface when we least expect it. Sometimes, they are unwanted reminders. Upon recognition, we immediately push those memories down again, locking the door behind them, wiping away the trace of dust left behind on our hands. On our Teddycan blog, we’ve written a lot about how to save on airfare and hotels. The tricky part to budgeting a trip (especially an international one), is avoiding all of the hidden expenses you run into once you get there. Living in Paris and being virtually poor has allowed me to become, how do you say…creative? in how I manage my finances. Learn from my mistakes and you won’t have to substitute your meals for vending machine kinder bars. You’ve been told it your whole life: wear some sunscreen! Shielding your skin from harmful UV rays is the highest priority, however, there are other important steps you should be taking to protect your skin. TeddyCan takes pride in all of our the health-related resources. We offer a variety of cash-back rebates to an extensive amount of various health-related tests. All testing is done through QuickLabWork, and above all else are affordable. Not only are the prices of these tests inexpensive, but health insurance is not a requirement. These are simple procedures that do not require a doctor’s order, and can also be ordered right online! Your test results will remain confidential, and when using TeddyCan, so will your searches. Bone mass inevitably decreases as we age, making us more susceptible to bone fractures and back pain. This is a condition known as osteoporosis, which over 10 million americans struggle with. Women are much more likely to develop osteoporosis, and having a family history also increases your likelihood. One of the biggest factors in this condition is lies in how much bone mass you had to begin with, which usually reaches its peak in your early twenties. Other risk factors include: lack of calcium and vitamin c, a high sodium intake, smoking, and an inactive lifestyle. Our bodies require a healthy amount of microflora to run smoothly. This healthy bacteria is essential in digestion, nutrient absorption, mental health, and energy levels. Without a substantial amount of good bacteria, destructive bacteria flourishes and wrecks havoc on our health. The bacterial balance in our gut can get out of whack for a few reasons: using antibiotics, consuming too much sugar or processed foods, stress, and lack of sleep. Most people don’t even realize their gut is out of balance until it is too late. Is Candida Silently Destroying Your Health? Candida is a fungus that lives in your digestive tract, and in small amounts, does a good job of absorbing essential nutrients. Also known as yeast, candida is found in an abundance of foods we consume, such as bread, beer, wine, pretzels, and cakes. An overgrowth of candida can have extremely insidious effects on our health that most people are completely unaware of. In fact, the symptoms of candida overgrowth mimic symptoms of other common illnesses like depression, diabetes, and irritable bowel syndrome. If left untreated, candida can wreak havoc on our immune systems, gastrointestinal system, and our mental health. Meatless Monday is a movement with the slogan, “one day a week, cut out meat.” Sounds simple enough, right? With observed health, environmental, and cost benefits of cutting out meat for one day a week, why not try it out? The recipes below should inspire your Meatless Monday to be as delicious and filling as possible. Who says you have to eat meat to have a satisfying meal? Wait, what’s Meatless Monday? In the midst of what seems to be endless health food trends, there is one movement that stands out above all others that you should stop to consider. Meatless Monday is an idea that originated in the U.S as a way to aid the war effort in World War I and II. In 2003, health advocate Sid Lerner reintroduced the idea as a campaign for public health awareness. Meatless Monday slogan, “one day a week, cut out meat,” has become a global practice that is simple to follow and has proven health benefits. Intrigued? You should be. Everyone knows that cooking is not always the easiest task, and can oftentimes be perceived as more of a chore instead of an enjoyable activity. However who’s to say this has to be the case? Here at TeddyCan we are offering an assortment of deals that have the possibility of making your kitchen the most efficient and effective it can possibly be. TeddyCan is offering advantageous deals to some leading auto part retailers within the market. Here at TeddyCan we are always aiming to provide our users with deals that are both useful and helpful. We understand that caring for your respective vehicle, and staying up-to-date with the proper upkeep can be at times a difficult task. That is why TeddyCan wants help any in any way possible. We are always providing various deals that cover a broad range of our users most valued needs. With spring about to kick into high gear, you’re going to be busy with team practices and games, lunches and dinners, and school and graduations, all while trying to enjoy the nice weather. What you need during this potentially hectic time of the year are quick and filling healthy snacks for on the go. Living with Arthritis: How Do I Stay Active? Rheumatoid Arthritis is an inflammatory disease that is marked by pain and swelling in joints. This discomfort can make it tough to be as active as you would like. However, a little bit of exercise goes a long way, and can actually improve your symptoms greatly. So, the question is, how do you do this without making your condition worse? The best time of the year has arrived! Intimidated by the gym? Let’s address some other options out there that will still provide you the same benefits from the gym, without the membership. According to the 2008 Physical Activity Guidelines for Americans, adults should get at least 150 minutes of moderate aerobic activity a week and muscle-strengthening activities at least twice a week. Don’t worry; you can achieve all this with or without a gym membership! Ever heard of Nutritional Psychiatry? Eating healthy food is not a revolutionary idea, but Nutritional Psychiatry is a relatively new and growing field that’s beginning to change the way we look at food. Nutritional psychiatry is the evolving study of how dietary intervention can reduce rates of psychiatric disorders. There have been many recent studies that have found evidence of associations between diet quality and health. These studies found how a good diet can prevent depression, influence mental health outcomes in children, and even affect brain plasticity. Food should always taste good. Even if you have dietary challenges, there are still ways to get creative and make delicious meals. One of the more common issues that impede diet in our society is diabetes. Since many of us know a friend, loved one, or personally struggle with diabetes, I thought a day of diabetes-friendly meals would be useful to all. Our deals are just as diverse as our main functions. We’re always offering cash back rebates that are advantageous and all-purpose. There are so many different variables that go into a consumers purchase. Not only in the mind and preference of the consumer, but also in any given supply chain of any given brand. Being a consumer is a pretty hefty duty, and there are ways we can responsibly and sustainably go about our purchasing and consumption habits! The online marketplace that we all know and love has decided to switch up their tactics, and expand in more of a physical sense. The company is taking on the good old Brick and Mortar strategy, and plans on opening hundreds of actual physical bookstores! Dennis K. Berman, a Wall Street Journal Editor, tweeted out the news a little over a month ago. Here at TeddyCan not only do we provide our users with practical and useful deals, but diverse ones as well…and did I mention tasty?? Can Certain Foods Make You Sleepy? Not getting enough sleep, but don’t want to take a pill? Sleep is like a cold glass of water on a hot summer day. Refreshing, essential for life, and something you just can’t seem to get enough of. Unfortunately for many sleep isn’t as easy to obtain as a glass of water, yet remains a necessary component of life. Many people resort to supplements like melatonin or prescribed medications for additional sleeping aid, though little or no scientific evidence to date has proven that melatonin improves sleep. Interestingly enough, there are some natural ways to make yourself drowsy before bed that don’t involve taking a pill. flavorful bowl. Heat in the morning or eat cold, then add any toppings you’d like; the possibilities are endless! Personally, oats can do no wrong in my book, so feel free to get creative. For flavor inspiration like almond joy and banana nut oats, see here. TeddyCan is a research engine that shares its profits. One way that we like to share our profits is by giving to other nonprofits like ourselves, trying to inspire positive change in the world. Currently, we assist 28 charities like the American Cancer Society, Autism Speaks, Feeding America, Shriners Hospitals for Children, and Veterans of Foreign Wars. We look forward to work with and support your charity in any way that we can! The word mindfulness might conjure images of meditation, yoga, and other mainstream new age trends. At a first glance, that wasn’t for me or my lifestyle. But the more I learned about mindfulness and how simple it was, my health improved dramatically! One of the great things about being a partner of Abe’s of Maine is the deals and discounts they give us to extend to our readers. Below are the most current discounts we have from Abe’s of Maine. Enjoy! TeddyCan is all about giving back, so here are some special deals from our proud partners that we think you’ll want to act on. Earn Points for FREE merchandise. Get a % off on partner websites. 2. Earn Points for FREE Merchandise. 3. Get a % Off On Partner Websites. TeddyCan has 3 divisions: Medical, Shopping, and Education. We believe in helping students achieve their goals through tutoring and homework help. Statistics say that only 50% of college students graduate but here, at TeddyCan & Tutor Teddy, we believe we can change those statistics. Growing up, my parents always echoed the classic household motto: “breakfast is the most important meal of the day.” After many brainwashing years of hearing this, it’s safe to say I’m a lover of all things breakfast. I’ll use any excuse to extend breakfast into all hours of my day. Brunch? Breakfast for dinner? Why not? Currently, breakfast as “the most important meal of the day” seems to be a hotly debated topic. 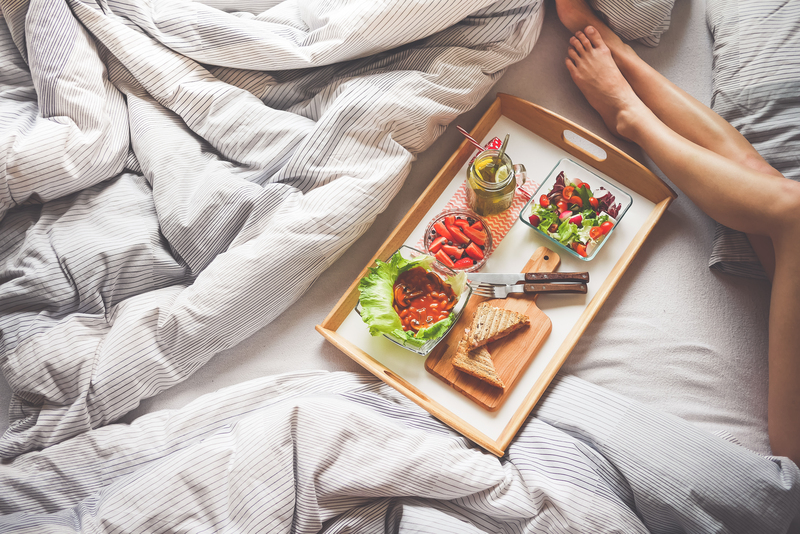 While studies have found that breakfast may be overhyped in previous claims to assisting with weight loss, other studies have found numerous beneficial aspects of eating breakfast. In a recent study done by the Harvard School of Public Health, the participants who ate breakfast were observed to have a lower risk of coronary heart disease than those who skipped out on breakfast. To eat or not to eat—studies have found there are potential benefits and drawbacks either way. If you do choose to partake in (what I still see) as the most important meal of the day, breakfast foods like eggs, oatmeal, and fruit smoothies are packed with essential nutrients that the American Heart Association, one of the nonprofits Teddycan supports, recommends as part of a healthy diet. The American Heart Association endorses a diet of fruits, vegetables, and whole grains to help maintain healthy blood cholesterol, cholesterol, and weight. For my fellow breakfast enthusiasts, one of my favorite breakfast foods is oatmeal! Here’s a link to a hearty oatmeal recipe that I love, and a recipe for DYI instant oatmeal packets for portion control. Enjoy! TeddyCan is a simple and secure search engine that is designed to give you a deeper, more meaningful, and specific search result! We value your searches and aim to provide our users with results that are relevant and informational, in hopes that we meet any and all needs. 1. Stop smoking! We both know it’s bad! Lower blood pressure. It seems like a stretch, but the increase in a positive mood and decrease in stress from the presence of flowers has shown to have an affect on blood pressure and pulse rates. Alleviate depression. Studies have shown that the presence of flowers have an immediate boost on one’s emotional state. Flowers inspire feelings of happiness and gratitude: especially if given by a loved one. Lower pain levels. In an extraordinary study by Dr. Roger Ulrich, it was discovered that patients who were recovering from surgery and had flowers in their rooms took less potent analgesics for their physical pain than their flowerless peers. The benefit from filling our surroundings with natural beauty is remarkable. Flowers are a gentle reminder of health and love. Our bodies respond to the physical presence of plants and nature with an abundance of positive feedback. With so many products on the market designed to reduce stress and illness, it becomes easy to overlook the natural alternatives that are readily available. Now that darker, colder days are with us this winter, treat yourself to a bouquet of tulips or lilies! Take note of how these colorful beauties warm up a room and give your mood a gentle nudge towards happiness and relaxation.